I am often asked how much a commissioner should expect to pay a composer for a new piece of music. A few of things about this. First (& most important) it’s wonderful that this organization wants to commission new music to commemorate their centenary. There are many reasons as to why this is a good thing – though of course I would say that. Second, there is the reference to the “Australia Council suggested commissioning rates.” Back in the day, the Music Board of the Australia Council for the Arts had a guideline of what composers should charge per minute of music. This was dependent upon how many ‘lines’ of music were used in the piece. So a string quartet would have 4 lines, and an orchestra might have 24 lines. More lines = higher rate per minute. There are problems with this, particularly that it was largely irrelevant to genres of music outside the Classical/Art Music and Jazz idioms – and even then, the improvisation side of things was problematic. Also, it was a pretty blunt instrument in terms of who it was targeting. For some composers, the rates were too low. For others, they were very generous. So during my time as the Chair of the Music Board, the suggested rates moved from being a quasi-Award Rate to instead the maximum amount that the Australia Council would contribute towards a grant application. In other words, the “Australia Council suggested commissioning rates” ceased to exist some years ago. Any rates that are published or available are now often misunderstood as to their purpose because of this history. 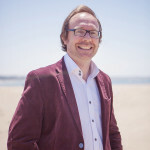 Third, as my colleague Paul Stanhope has rightly pointed out, there are many reasons for a composer writing a piece: the money on offer isn’t necessarily going to be the driving force. The artistic rationale is often even more important. What a good thing! The rule is that everything is up for negotiation. This is a good thing in my opinion. In lieu of any other further concrete information, here are my suggestions. The interest of the composer in writing the proposed piece of music in question and/or how available they are, together with what is on offer beyond writing the piece itself. The status and experience of the composer. There are three main categories for consideration. Premium composers. These are very established composers who are regularly commissioned, performed and recorded by the best and most prestigious music organizations in the country and internationally. They may have an international publisher. They may be the rarest of breed: a freelance composer, though more likely, like everyone else these days, have a portfolio career. Typically they are booked up a few years in advance. The starting point for these composers I would estimate at about $2000 a minute. They have a lot more competition for their limited time, and/or they are doing it for their living in a lot of cases. There is little point haggling for less than this unless they want to do you a favour. The idea is that there will be prestige for you in commissioning them. Such commissions in theory have a better chance of having a ‘life’ (repeat performances) due to the track record of the composer. The $2000/minute of music figure probably won’t vary that much despite the size of the ensemble and/or size of the ensemble for whom it’s being written. For less you might get an arrangement of an existing piece, which isn’t a bad thing in itself. Established composers. These are again composers who are regularly commissioned, performed and recorded by high standard music ensembles, though possibly not as often. They probably will not have as much work booked into the future as the Premium composers – meaning that there may be increased availability, though very often pretty busy. I would budget for around $1000/minute in general. There is room for negotiation here. Start at the $1000/minute and work up or down. These composers may well be very busy doing a range of things but may have time here and there, and/or university jobs meaning that they are willing to do something they are interested in for a bit less. Emerging composers. The Australia Council defines an emerging artist as someone in their first 5 years of professional practice. This doesn’t work for composers as it typically takes a great deal longer to become established. I would state that composers who aren’t regularly commissioned or performed by the top-notch ensembles would fall into this category, and typically they may be in the process of developing a personal and distinctively recognizable style or voice at this stage. Here I would suggest between $200/minute (for someone still at or just out of Uni) to about $500/minute. The size of the ensemble here will make a big difference. You don’t want to rip such composers off. However in reality, they need you more than you need them. The prestige of a commission, the standard of performers and the potential audience listening to the performance matters a great deal here in terms of the negotiations. And hence there may be flexibility. It stands to reason that a 90 minute chamber opera with multiple collaborators should demand a lot more money than a 10 minute vocal sextet. A desire by the commissioner or composer to approach new forms of music making, to extend the discipline, to write a piece that could be seen as falling within the string quartet canon, for example, may require a lot more time, effort and brain power than a miniature to celebrate a birthday. And hence more money. There are corporate organizations who don’t sneeze at spending $100k on their end of year Christmas functions. There are others who sell raffle tickets to raise money for new commissions. If an organization can’t afford the going rate for a composer, they can negotiate, but if they can’t afford it in the end, there are many other composers who may be able to do it. And do a good job. Note that if the commission is tax deductible, some commissioners are much more inclined to take it on, particularly if it they are in the top tax bracket. Supply and demand works here too, just as in every other field of endeavor. When I needed a roof repair done, it was fairly obvious that the roofing contractor giving a quote wasn’t that interested in doing the job, as he quoted $12000 for something that would take 2 days. A composer’s interest in doing a commission can be piqued further by raising the commission rate – especially if he or she is busy. A higher commission rate may result in other commissions being delayed to make way for this one. The performers, recordings and so forth aligned to the commission will affect the willingness of the composer to take it on. I ensure that all my commissions will be recorded, and I will be furnished a copy of the recording. Otherwise there is little point in me spending months writing it. A composer may be particularly interested in writing for a particular ensemble. For example, I am always down to write new works for string instruments, even if the money on offer isn’t what I would usually charge. It is often worth the commissioner discussing with the composer what sort of piece the composer wants to write, rather than come with a pre-conceived idea. Personally I find this more challenging, preferring more information and restrictions up front – the more parameters are given, the easier the piece is to write! But composers vary in this regard. For a large ensemble such as an orchestra or wind symphony, someone has to prepare the parts. It could be the composer or it could be someone else. Then they have to be manufactured. This can cost a fair amount of money. It is usual for some published works to be hired out to performers. Performers pay a set rate per performance. This may or may not include the commissioned work’s premiere. In the UK, commissioners pay double the standard hire fees for the privilege of giving the premiere performance, in addition to the commission fee for the music itself. This is much more negotiable in Australia, in general. Often the hire fees are included in the commission. Attending rehearsals, giving workshops etc. Some composers want to be paid for attending rehearsals and performances of their music. Some don’t want to be. There may be costs involved. It is a good thing to get the composer to the work’s premiere if possible, and thus pay airfare and accommodation costs if they are not local, and particularly if it is a prestigious commission. These should be negotiated. For educational institutions such as schools, composers should be paid if they are giving workshops to students or the like, just as any teacher is paid for doing so. It may be tempting to ‘go in hard’, and try to get a bargain rate for a commission. In most cases, this is false economy. There is little value in the end in not paying the composer what they’re worth. I have heard the results of this first-hand, in a situation in which a composer was insulted by the amount offered, decided to do it anyway and obviously tossed off the quickest piece they possibly could to fulfill the brief. No-one wins in this situation. Certainly not the audience or the commissioner. It is highly unlikely that pieces such as this will go on to have a life beyond the first performance. Why is no-one vomiting in timpani any more? The last two Tuesdays I have been mentoring composers as part of the Ku-Ring-Gai Philharmonic Orchestra’s Australian music program. This is an excellent opportunity for emerging Australian composers to hear their orchestral pieces workshopped by a community orchestra. It’s a long-standing commitment to Australian music by a community organization that understands the importance of nurturing an art form. One of the composers, Solomon Frank, is a 2nd year student at the Sydney Conservatorium of Music. He wrote a piece in which the orchestra players are required to grunt, groan, slap their cheeks around + other assorted bodily sounds, in addition to playing their instruments in a ‘normal’ fashion. It sounds a bit 1960s, right? But no-one is writing this type of music any more, at least, not in the orchestral world. Good question. My thoughts were shaped by my own and my peers’ experiences as more established composers: that the orchestral players would absolutely crucify him, that he likely would never have another piece played by them in his lifetime, that he should try to master foundational concepts rather than going ‘wild’, and most importantly, that he wouldn’t be making use of the considerable expertise of the players in the orchestra – i.e. playing their instruments extremely well, rather than blowing raspberries. It would be a wasted opportunity. However, upon reflection, we live in an extremely conservative, risk-averse age. Yes, emerging composers have to pay off their iPhone like everyone else. And hence they perhaps shouldn’t aim to bite the hand that feeds. But there must be more to life (and art) than money. The best and most striking thing about Solly’s new piece is that it contained numerous sound worlds that I had never ever heard from an orchestra before. That’s a very rare thing indeed. The last time I felt like this was hearing the orchestration in Carl Vine’s Violin Concerto – in 2011 – a long time between drinks. Solly took risks. I’m so pleased he did. He forced the orchestral players outside their comfort zones. And in this case, the risk paid off with entirely new sounds. It was totally worth it. There are so few people taking risks these days, not least in the field of orchestral music. We composers are more than aware of (1) the competition for few orchestral opportunities for composers, and (2) the cost of having an orchestra there, doing your bidding, and the subsequently responsibility: you’d better make the best use of it! And yet, when the typical results are technically very competent but lack originality, we can’t help but be disappointed. Why is it that middle-aged men such as myself and Paul Stanhope are amongst the youngest composers out there getting regular orchestral gigs? Where is the fire, the brimstone, the energy, the boldness, the extremism, the drama of orchestral possibilities from the younger generations? Where are the emerging composers out there making statements? Taking things to the limits? If the young and emerging composers aren’t doing it, then who will. A few years ago, the eminent music education guru Richard Gill lamented to me in conversation, “why is no-one vomiting in timpani any more?” Maybe it’s about time we started. After all the 1960s were half a century ago. 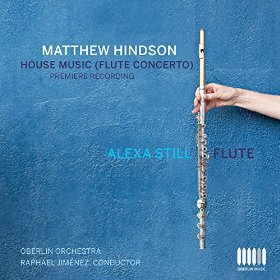 A superb premiere recording of my flute concerto, House Music, has been released. It was recorded by virtuoso flautist Alexa Still with the Oberlin Orchestra, cond. Raphael Jimenez. It is a wonderful recording – totally top notch and very much as I imagined the piece in the first place.